If you or anyone you know had a mortgage in the foreclosure process in 2009 or 2010 on a primary residence, and it was serviced by one of 27 companies, including Bank of America, JP Morgan, Chase, Citibank, and Wells Fargo, you may have money waiting for you. 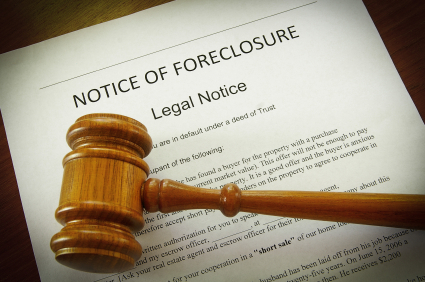 Foreclosure victims are not collecting the settlement that is rightfully theirs. In the wake of the greatest foreclosure avalanche in American history, federal banking regulators settled with 14 major mortgage servicers over alleged foreclosure abuses in the Spring of 2012. Part of the settlement included the opportunity for foreclosure victims to have their foreclosures reviewed for errors. If any errors were discovered, restitution could run from several hundred dollars to more than $100,000. To alert foreclosure victims, official letters were mailed to 4.1 million former homeowners. Months later, only 4 percent – or 165,000 people – have responded to have their foreclosure cases reviewed. In addition to letters, follow up advertising, as well as major media articles and reports have been ineffective in reaching foreclosure victims with this message. Perhaps one of the reasons why people aren’t responding is that many have grown wary of foreclosure scams and government foreclosure programs. Many simply are not aware of this opportunity for restitution since a foreclosure victim typically moves to a different address and the letter may have gone to the wrong place. That’s why I am doing my part to get the message out. If you are an active investor, I’m sure you know people who can benefit from this information, too. Send this link to them. Even though you won’t benefit financially, it’s the right thing to do. Spread the word. To learn more, go to Independent Foreclosure Review. If you have questions, you can call 888-952-9105 Monday through Friday 8am-10pm EST and Saturdays 8am-5pm EST. The recent $25 billion mortgage settlement provides borrowers who lost homes to foreclosure $2,000 each from a $1.5 billion fund recently set up by the major servicers. This is in addition to the restitution for wrongful foreclosures that was mentioned earlier and will effect about 750,000 borrowers. To learn more about this program, go to National Mortgage Settlement. So if you or someone you know fits into both situations, there could be substantial money waiting to be claimed. The only way to help the foreclosure victims who are not claiming what is rightfully theirs is to tell them. Get the word out. Tweet, Facebook, Google Plus, email the link to this page and tell the people you know who may fit into these scenarios to claim their money. Great information, Phil. Thank you! I need more information about This? There is a website link in the article to get more information. It says, if you have questions, you can call 888-952-9105 Monday through Friday 8am-10pm EST and Saturdays 8am-5pm EST.